An alliance of 160 health and medical research organisations has warned that without a multi-party commitment, the ground-breaking Medical Research Future Fund risks being dead on arrival. “When medical researchers, albeit half-jokingly, talk of leaving their labs and taking to the streets, you know something has gone awry with public policy,” said Research Australia CEO, Nadia Levin. A new report from the health and medical sector says the Medical Research Future Fund (MRFF) needs to prioritise closing gaps between health research, health practice and the health economy. 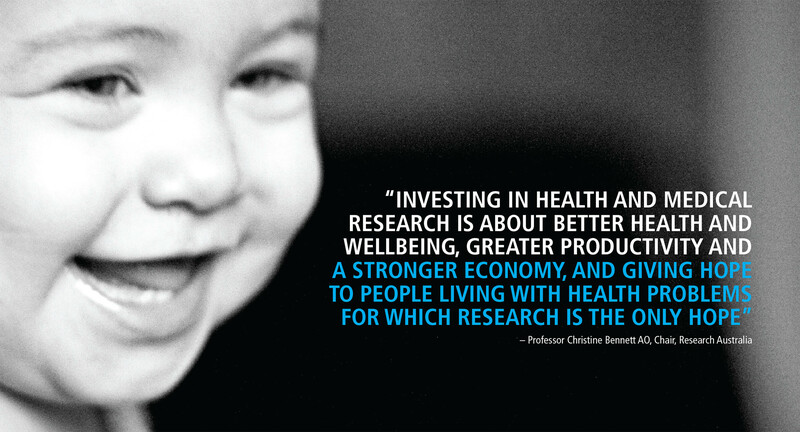 Translating Research for a sustainable future comprehensively brings together the positions of 160 of Australia’s leading health and medical research organisations, companies and personnel. The review, contributed to by prominent researchers, universities, and businesses in the field, outlines the sector’s view on priorities for the MRFF over the next two and five years.